After the initial launch of Generation III Pokémon GO has now seen the addition of more ice and water type creatures into the game. The introduction of more Pokémon has definitely been exciting. More exciting still is the new weather system which means the possibility of catching more powerful (up to level 35) Pokémon in the wild as well as overall higher IVs. 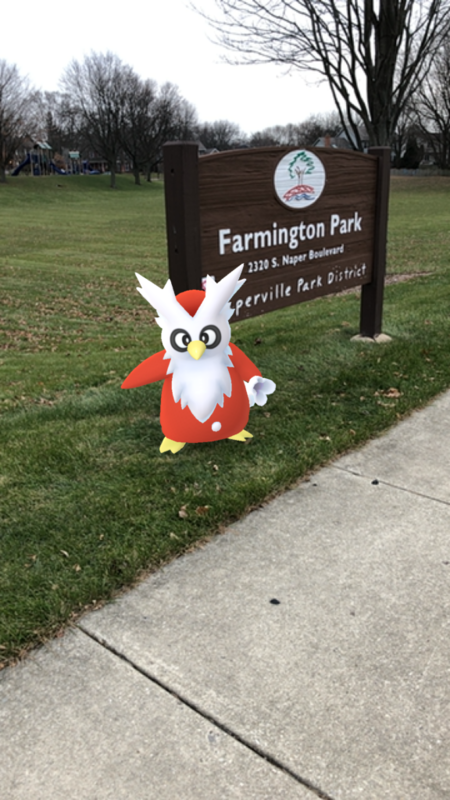 Delibird has been released and if most players are like me then most players are already sick of catching them. 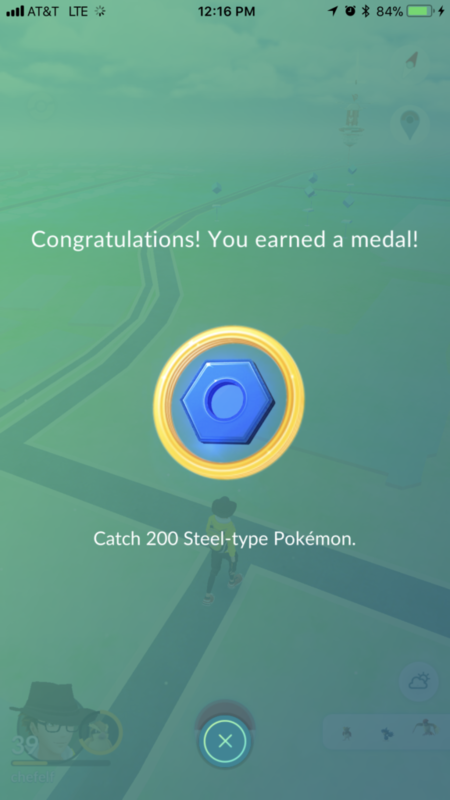 Exciting for me is that I managed to finally get my steel gold medal, catching 200 steel Pokémon in the game. 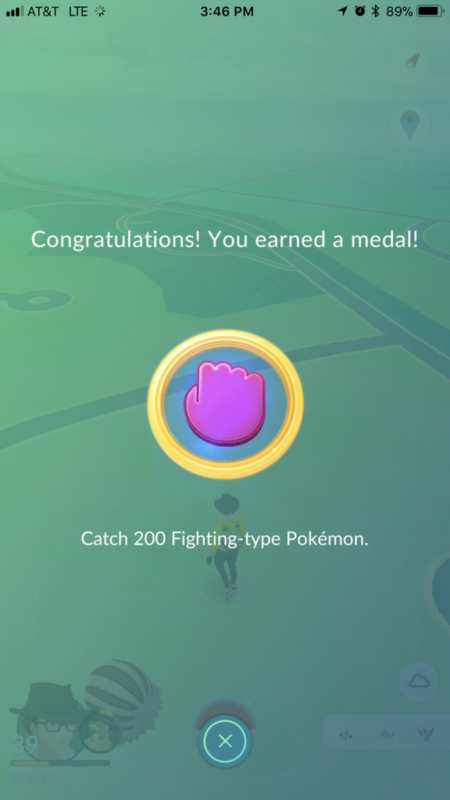 The next day I rounded everything out by finally getting my gold fighting type medal. This is largely thanks to the influx of new fighting types in Generation 3 such as Makuhita and Meditite combined with them spawning more often in the frequently cloudy weather here in the Midwest. This leaves me with dragon type being the only gold medal I need. Unless Generation 4 releases some common dragon type Pokémon I shouldn’t see that until some time in 2021. 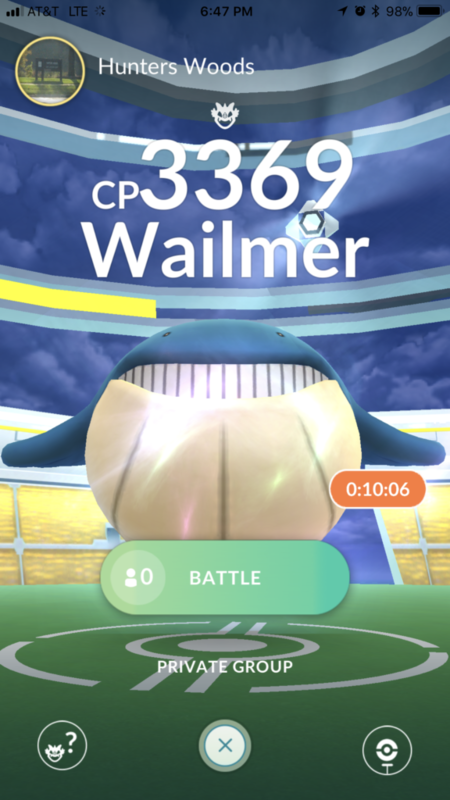 Wailmer raids have started showing up in the game. This is exciting as Wailmer’s evolution, Wailord, takes 400 candies to evolve. There is a great nest nearby but with temperatures in the negatives it’s unclear whether I’ll be able to spend any time there to eventually evolve my Wailord or if it’ll take me several months like my first Gyarados. 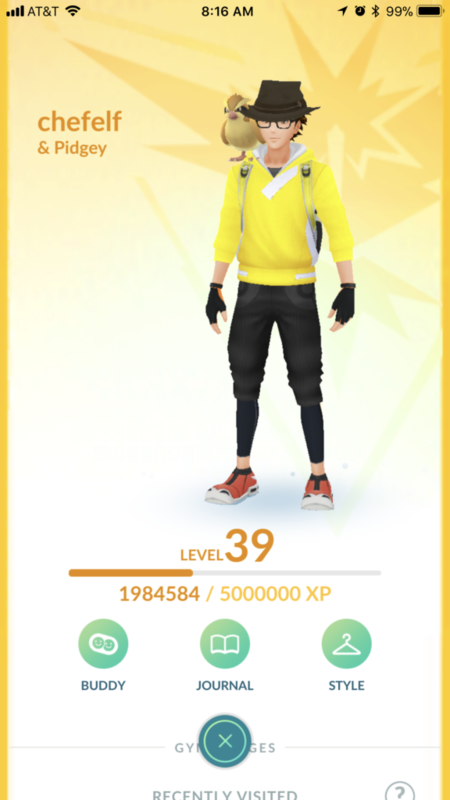 Only 3 million XP stands between me and level 40. So basically I only have to do the entirety of level 38 again and I’ll be there. I have about 12-14 evolutions ready to go for the Pokédex at this point. So far the pacing of this generation has been pretty good. It’s not taking as long as the first two but still a challenge. At this point recent updates have left a few annoying things with the games, some of them bugs. These things desperately need to be addressed in a future update. On the surface this sounds minor but it is a huge hassle once you get to playing. 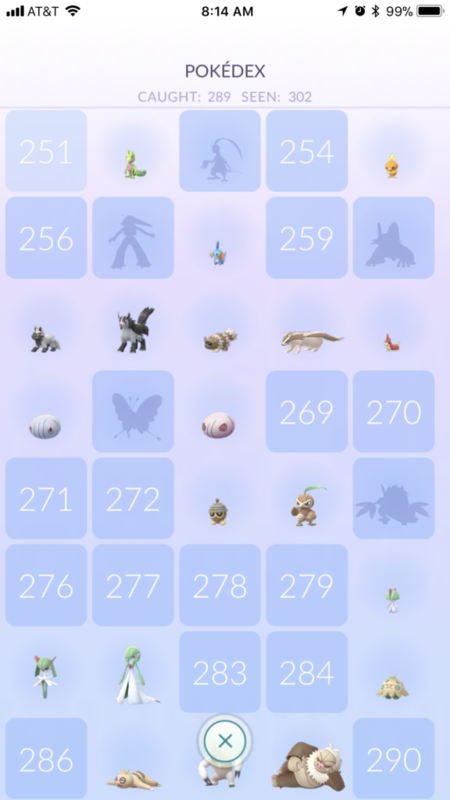 Any time you appraise, transfer, or evolve a Pokémon it takes you all the way back to the top of your Pokémon storage screen. If you have maxed out your storage to 1500, or even at any amount, it means a lot of scrolling, searching, and wasted time. 2.) Scrolling between battle teams, Pokémon, and eggs. For some reason scrolling between them now requires an extremely delicate touch. It’s easy to be on your battle party then slide all the way over to eggs. It’s not the end of the world but it doesn’t match the scrolling in any other section of the game and is frustrating when you’re just trying to get to your Pokémon. 3.) Battle parties not allowing additions. Some battle parties I have will not allow me to add a sixth Pokémon. This didn’t happen when the feature was initially released, it only started happening with the recent update. It pretty much makes some of my custom parties useless. With nearly 400 Pokémon currently accessible this page is a mess. With images loading server side it takes forever for them to all populate. The ever-so-slight color variance between generations makes it difficult to figure out where one ends a new one begins. Tabbing them by generation seems like a very easy and minor fix to implement. Additionally a search feature or ability to select by type may be in order. Anything to make finding who you are looking for easier. Additionally there seems to be a bug where an additional Barboach shows up after Groudon is unable to be clicked on even though that is not the correct spot in the Pokédex. It’s been pretty common place that with every new update comes a handful of new and frustrating bugs but as we approach the year two mark for Pokémon GO I don’t think it’s unreasonable to expect some of these things will be changed for the better. 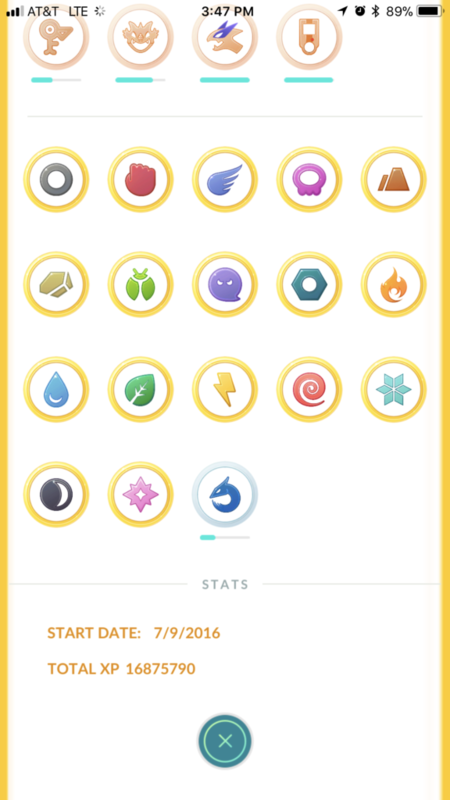 I anticipate two things from 2018: a fix for some of these frustrating bugs and finally hitting level 40. Previous PostPrevious Slakoth Mega Spawn?